The place is much bigger than their Hauz Khas outlet and is a perfect party place with loud music and spacious seating. There were strobe lights, an F * * K sign, and a bar area which will be sufficient to cater to the huge crowd that this joint will be attracting. We went there for just steaks and were impressed by the quality and portion of steaks served. All the steaks were done medium rare with juices oozing out on each cut, perfectly maintaining the tenderness of the tenderloin steaks. 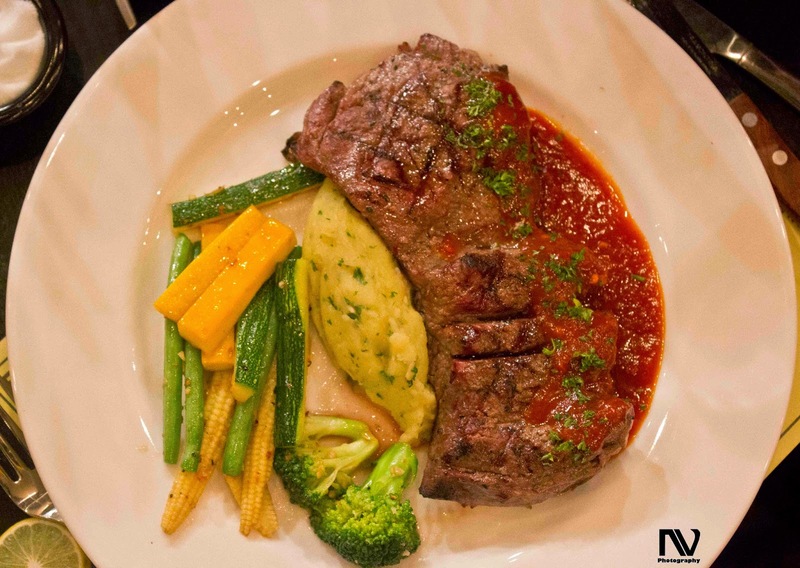 Accompanied by mashed potatoes and sauteed vegetables, each steak is quite filling and will leave you completely satisfied. 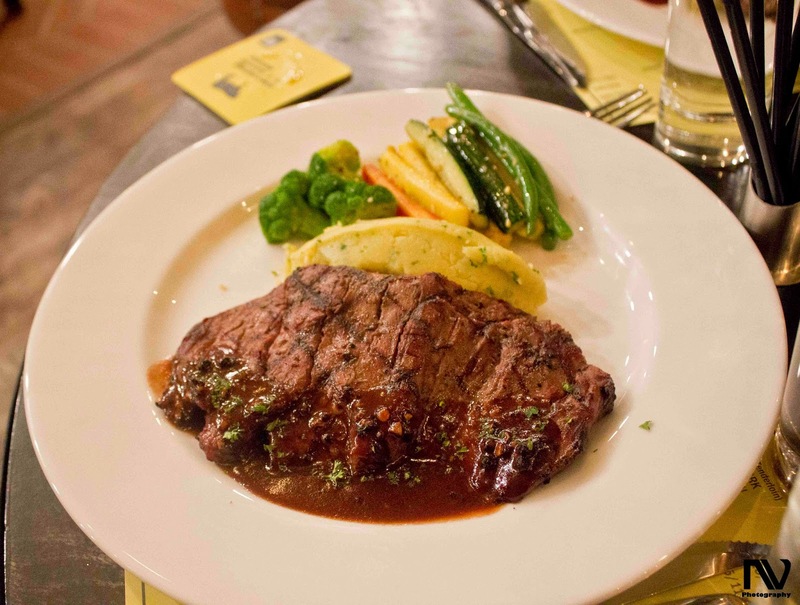 They have four types of tenderloin steaks in their menu: Herb Garlic, Beer Herb, Bloody Mary and Pepper, all done in different types of sauces. 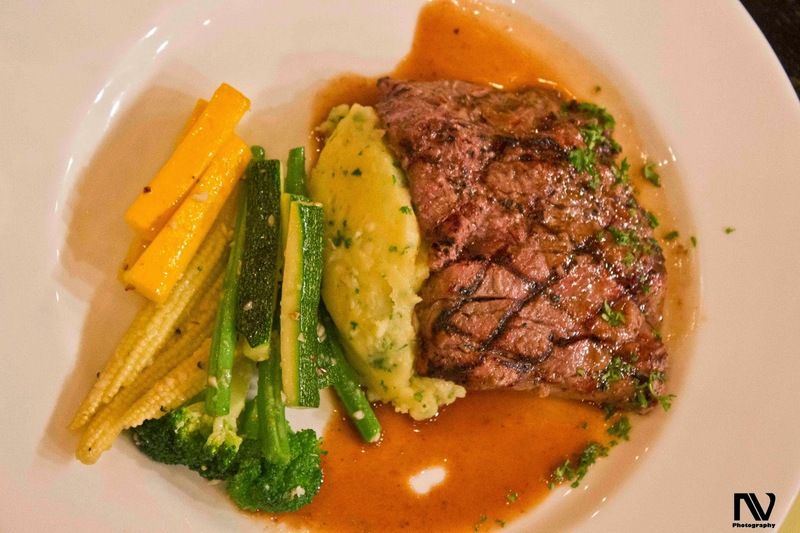 The beef tenderloin which is a version of the Eye Fillet from New Zealand and Australia, is usually a cut from the loin of cow, but in India, a buffalo is used instead. The Beer Herb Steak was a slight bit well done but was well marinated with the herbs giving the steak an even taste followed by a beery aftertaste. The flavours were well complemented by the mashed potatoes and didn't mask the natural taste of beef. had a strange spicy combination that will hit your aftertaste and will enhance the experience further. The Pepper Steak was just perfect, a warm medium rare grade with a hint of red and pink at the center of the steak.The simplistic yet distinct flavor and aroma of peppercorn gave the steak a whole new dimension while the pepper sauce didn't overwhelm the juicy and tender steak. 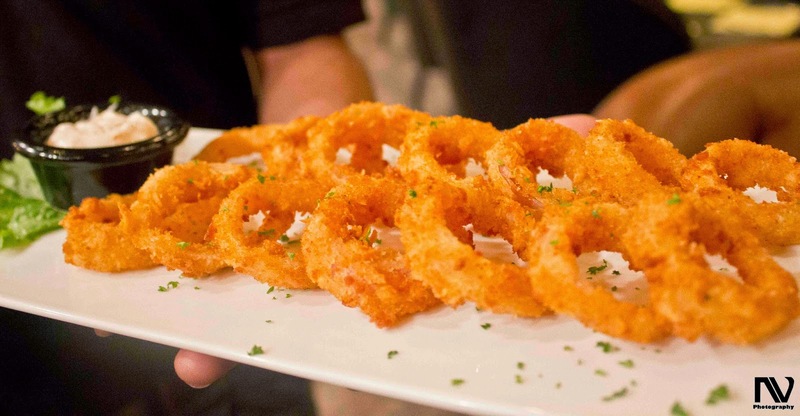 Set in a prime location, Fork You Too can do wonders with their healthy mix of cocktails and finger food like Onion Rings and Chicken Wings. Their quality, quantity and the presentation has always impressed the masses right from the Fork You days.